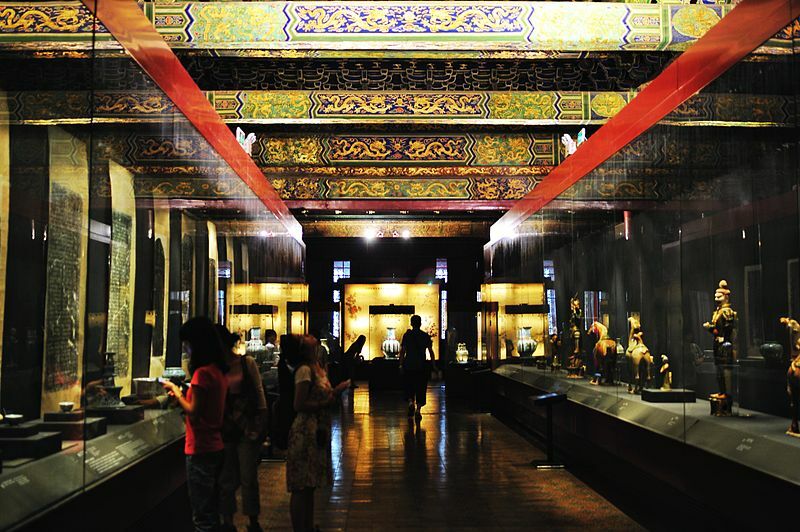 The Forbidden City is now known as the Palace Museum and is open to Beijing's visitors. The palace area extends 753 meters from east to west, and 961 meters from north to south. It consists of several dozen compounds of varying sizes and some 9,900 bays of rooms. The well guarded palace is surrounded by a moat 3,800 metres long and 52 metres wide. Take bus 101, 103, 109, 124, 202, 685 or 814 and get off at Gugong Station. 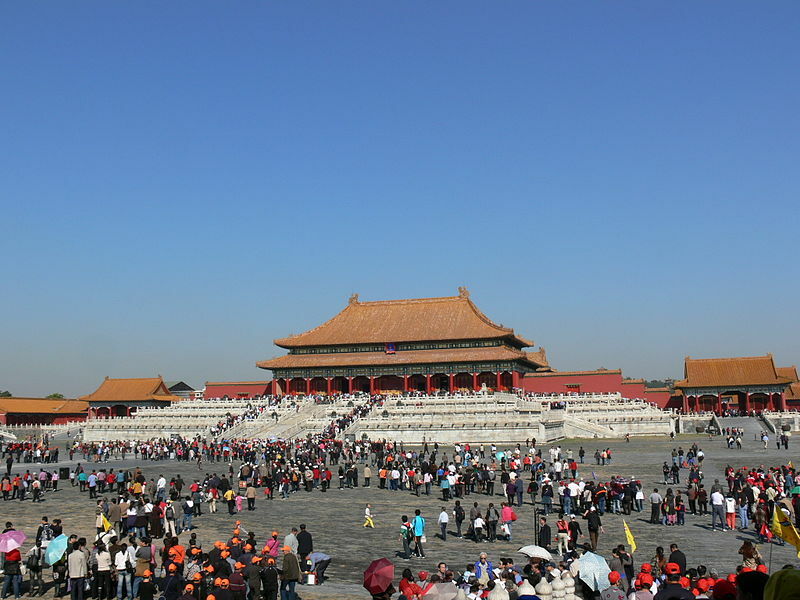 Take bus 1, 2, 5, 10, 20, 52, 120 or 802 and get off at Tiananmen Xi or Tiananmen Dong Station, walk north through the Tiananmen Tower (Gate of Heavenly Peace), and then you'll find the Meridian Gate (south gate). 08:30 to 16:30 (Nov. 1 - the next Mar. 31); tickets not available after 15:30 and last entry at 15:40. 08:30 to 17:00 (Apr. 1- Oct.31); tickets not available after 16:00 and last entry at 16:10.